Though Louis Chude-Sokei takes pains to reiterate in the introduction that The Sound of Culture is not written to be musicological or ethnomusicological in scope, his observations in this text are, nevertheless, sufficiently rich to warrant a review of what it contributes to these fields. Chude-Sokei poses premises and points of departure that would be well served by further analysis in the fields of musicology, ethnomusicology, and sound studies. My aim in this review is simply to point to a few paths that open from this text in hopes that they will be more extensively investigated elsewhere. The Sound of Culture explores fraught and fascinating histories that connect race and technology. While many of Chude-Sokei’s points of analysis focus on literature, and especially science fiction, he returns to the sonic realm in numerous discussions that examine black people’s relationship to technology, as well as the historic use of black bodies and voices as technologies in and of themselves. In terms of black innovation in the techno-musical sense, Chude-Sokei is resolute in his affirmation of music as a site of black technological innovation. Contesting a narrative that paints blacks as victims of the ”digital divide,” he points out that, as this discourse was emerging, “blacks in the Caribbean, America and Europe were busy generating the most sophisticated electronic music and technology-obsessed music subcultures in history” (6). This era charted the future of music and music technology as “Black electronic music redefined sound and hearing across the globe” (6). Chude-Sokei explores the black/techno-sonic nexus in diverse and multi-directional ways throughout his text, offering significant contributions to the field of sound studies. Early in The Sound of Culture, Chude-Sokei situates American jazz within a discourse of technology, contending that despite contemporary narratives of jazz as expressive of black vernacular culture, jazz sounds were “initially seen and heard as machine-age spectacles, as elaborate rituals of the submission of art to the logic of the machine” (34). He continues in vivid description: “The massive wall of pistons that was a brass-led band, the inhuman mechanic accuracy of jazz choreography, the volume that generated a wall of sound generations before such a production technique would be named – all held together by blacks dressed in styles so exaggeratedly crisp and attitudes so confident that they seemed to mock if not erase the past; it was all quite irresistible” (34). From discursive framings of jazz, he moves to the role of technology in mediating the inhuman and the human through the nexus of race and sound. In his chapter, “Creolization and Technopoetics,” Chude-Sokei explores the significance of Jamaican dub reggae as a site of black technological innovation. He posits dub as a practice pointing towards an expansive Afro-futurist chronotope due “not only to its foregrounding of technology but also to its focus on space itself through echo and the constant interruptive use of bass and drums” (164). He continues, “Rhythm is an inconsistent presence in dub and is secondary to absence and echo, giving it the feeling of space, dispersal, and the ever-presence of void” (164). Engaging Veit Erlmann’s work on resonance as both sound process and conceptual trajectory (168), Chude-Sokei describes dub as a site of cultural, sonic and technological transcendence. His examination of early phonographic technologies recalls Alexander Weheliye’s description of the “putative split between sound and source” (Phonographies: 20) allowed by recording technologies. In Chude-Sokei’s reading of dub, sound becomes again decoupled from source through the process of doubling, then retreating the sonic source material (169). One can imagine a tertiary decoupling/redoubling along the plane of circulation, as these song files are split from their origins and allowed to multiply, float, and reverberate in the vast Internet chronotope. Chude-Sokei’s discussions of black posthumanism, creolization, and afrofuturism stake out a powerful narrative of black autonomy and self-definition. The visionary futurism, processual praxis, and analyses of technological history that this book contains contribute to a novel discourse on black poetics. 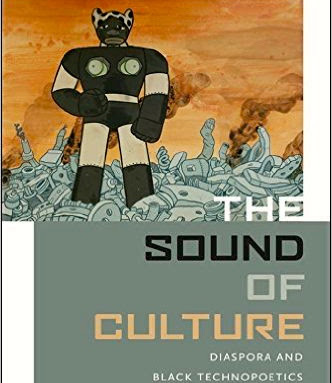 The Sound of Culture is a useful text for those interested in the nexus of race and sound studies in particular, though it also provokes interesting points of departure for musicologists and ethnomusicologists alike. Jonathan Henderson is a North Carolina-based multi-instrumentalist, composer, and producer currently pursuing a Ph.D. in ethnomusicology at Duke University. Find out more at jhendersonmusic.com.